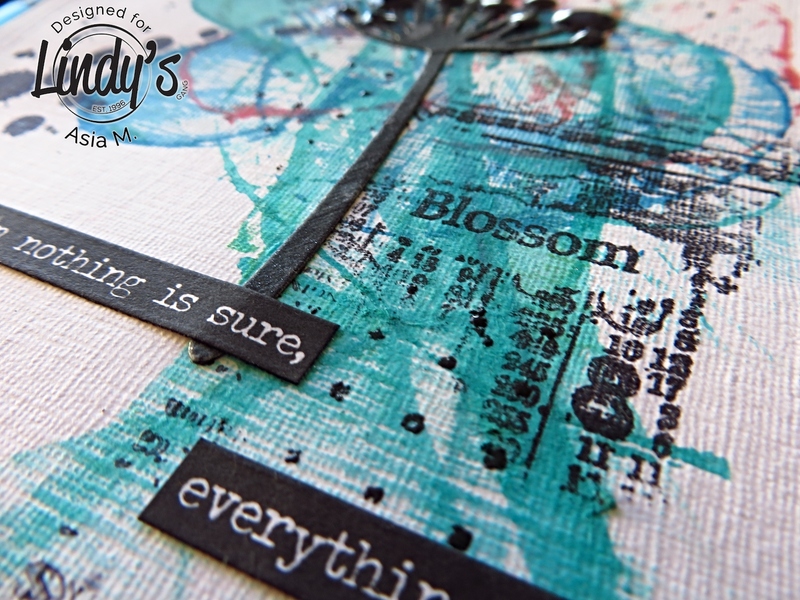 I am gonna be honest with you- before making my project and filming it, I actually did a trial and I will show you the photos of my very first pull string technique trial in a few days on Lindy’s Creative Gang FB page. 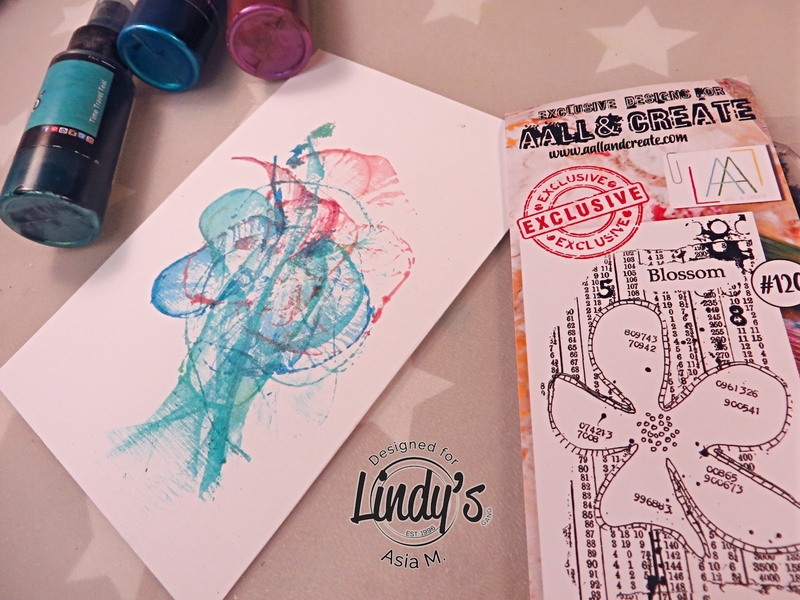 And since I did my trial on a regular piece of paper, you’ll see how different are the effects:) Today however I started by preparing my Lindy’s Starbursts sprays: Time Travel Teal, Bougainvillea Fuchsia & Hydrangea Blue.I also cut few pieces of quite thick white string- this was simply just a string which I had at hand, I was not overthinking it too much. Anyway, after preparing it all I shook the sprays quite well, unscrew the sprayers and dip the strings inside the bottles; let it soak up a little the paint. 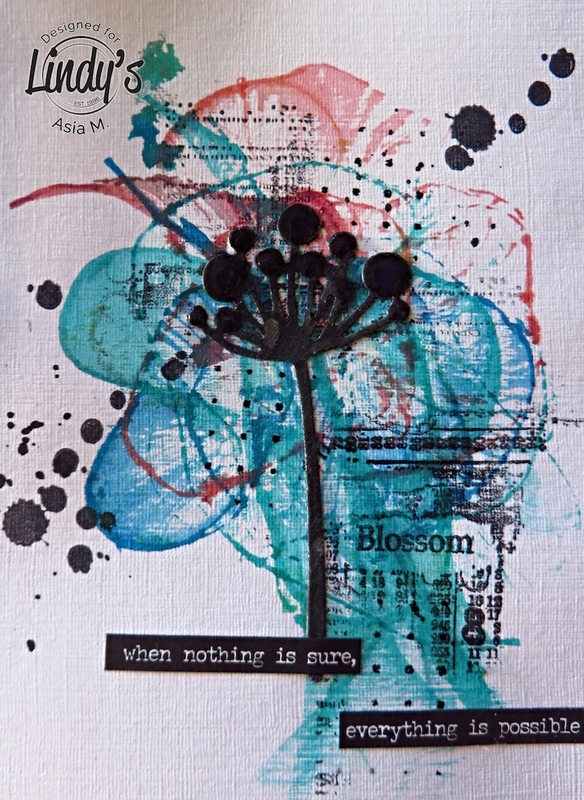 For this project I preferred to work on a piece of cardstock paper, which I later adhered to my art journal- this way I had really flat surface to work on. 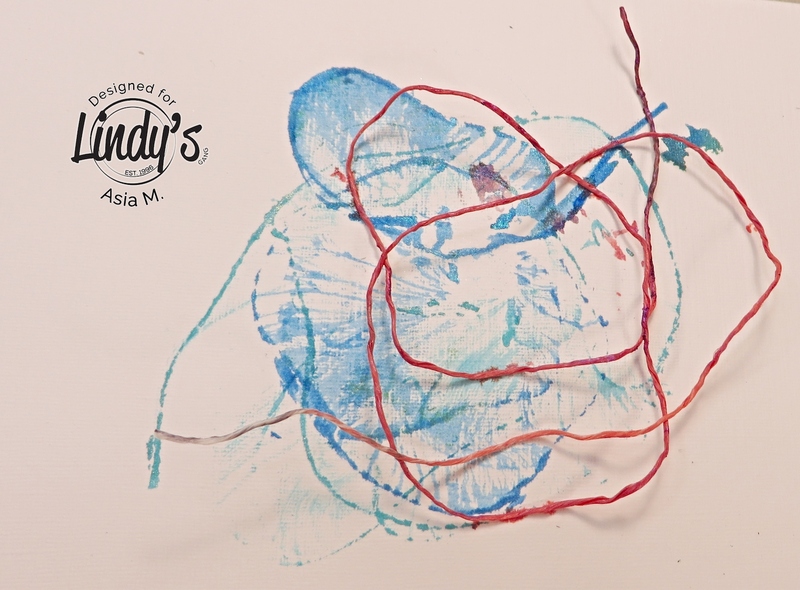 The different ways to pull the string- either from edges of the paper or by making an circle-shaped incision in the middle of the paper you are covering the project with, are giving you different effects, which you can also see on the photos below. 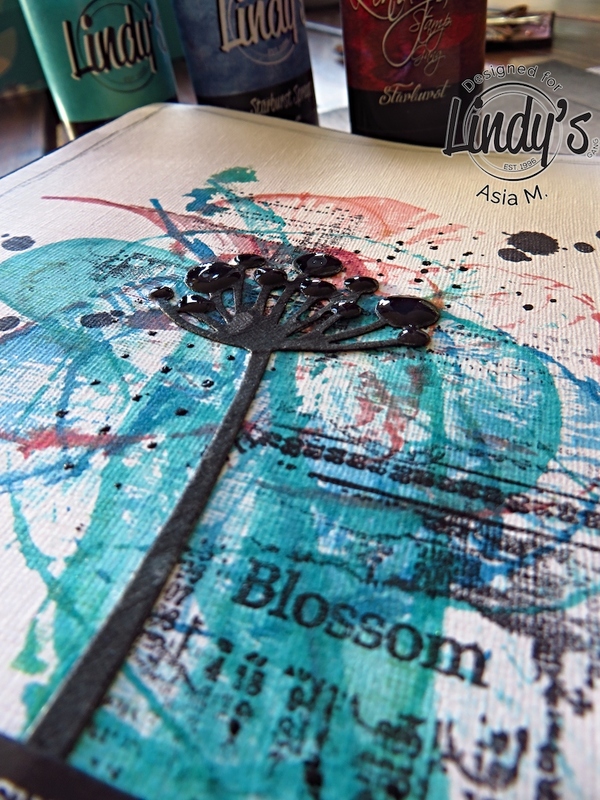 I also took a flower die-cut and covered it with Lindy’s Starburst: Midnight Rendezvous Raven. 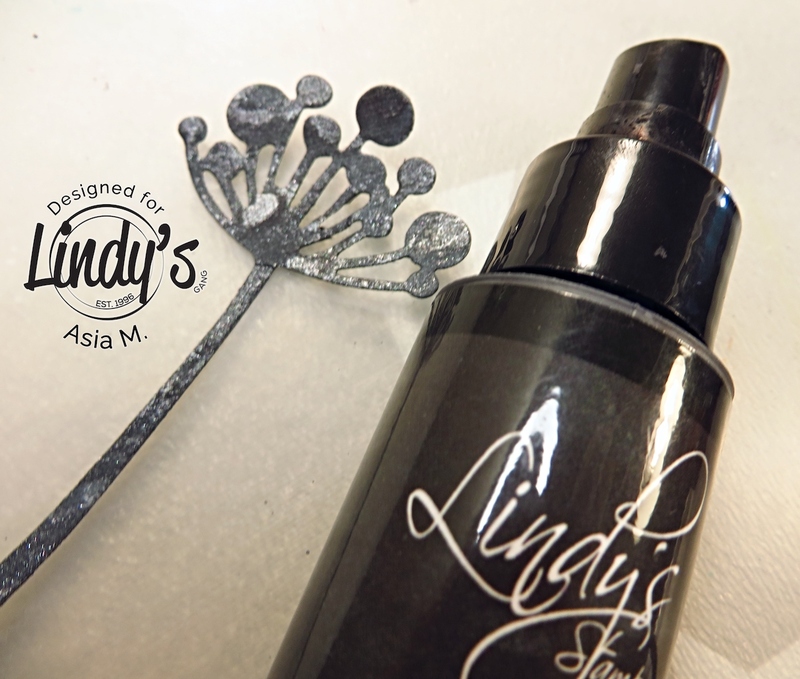 I got this beautiful black and silvery colour, not too strong, just like I wanted. 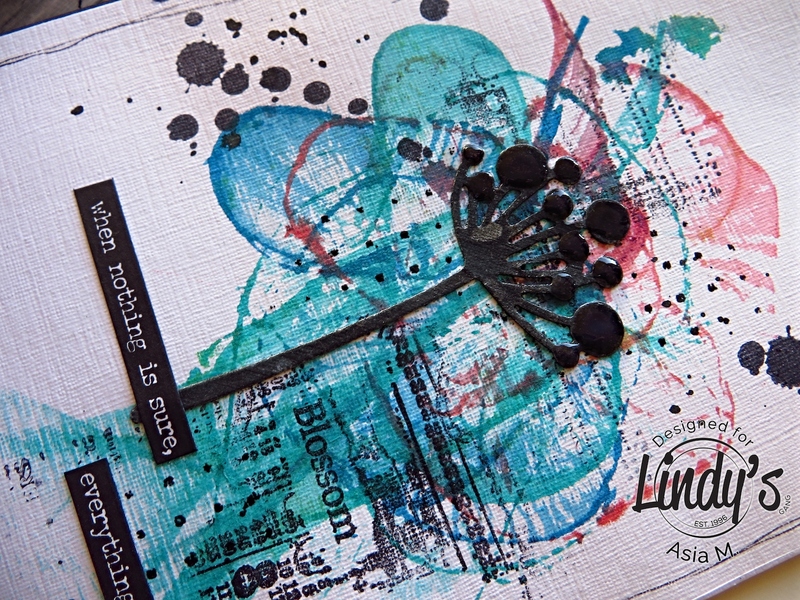 For the background I added some stamping and some embossing with Lindy’s Obviously Black EP. 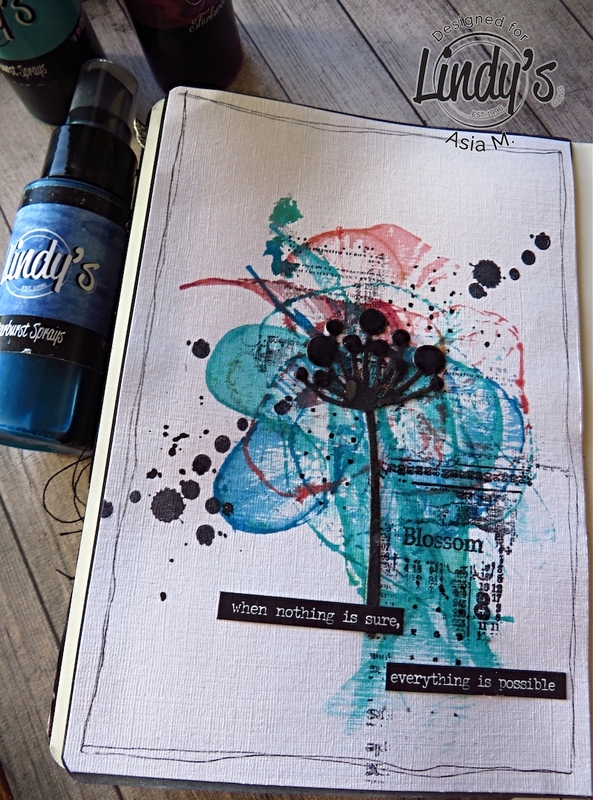 I added some splatter, but just a tiny, tiny bit and a Small Talk stickers by Tim Holtz. 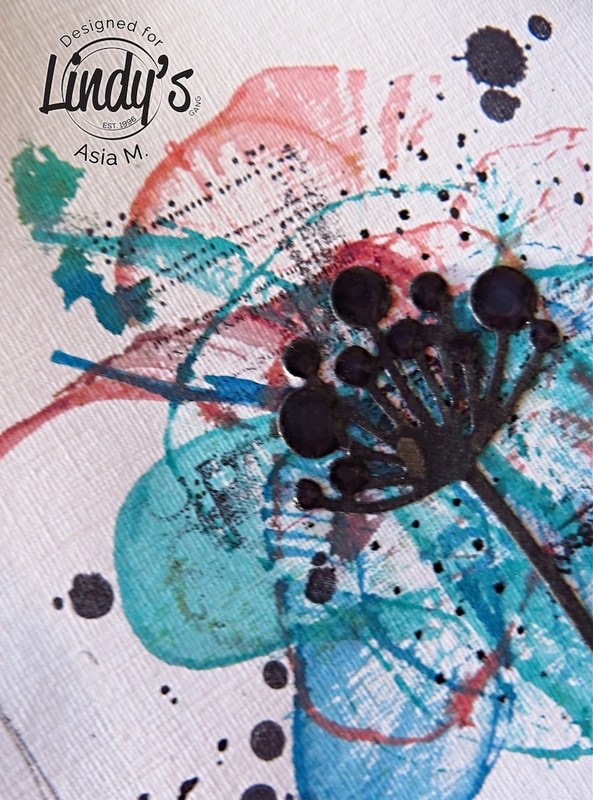 The die-cut flower was covered also by Glossy Accents (just the flowery parts). 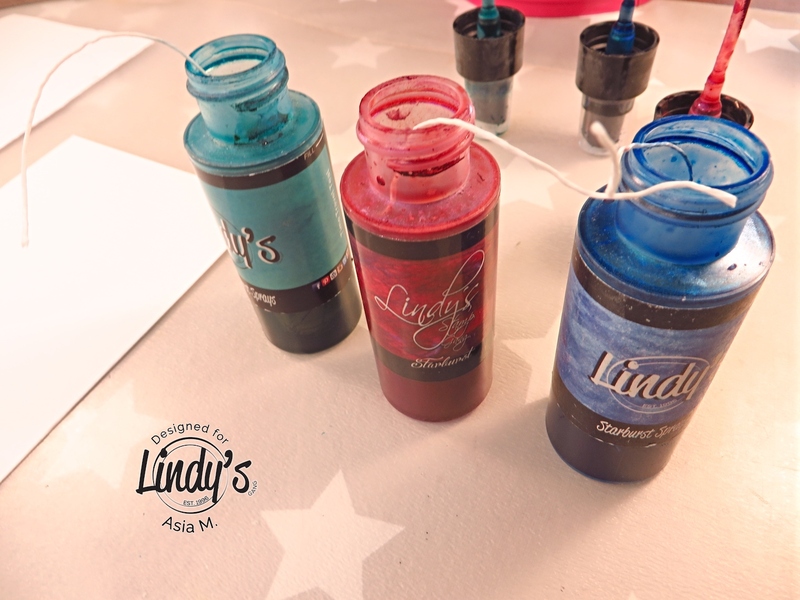 Hope you enjoyed this tutorial and if you do pull string technique with Lindy’s sprays, don’t forget to share it with us on Lindy’s Creative Gang Facebook page!